Lat: 35.39° N Lon: 80.71° W Elev: 666 ft. Sunny. Highs in the mid 70s. North winds around 5 mph. Clear. Lows in the lower 50s. 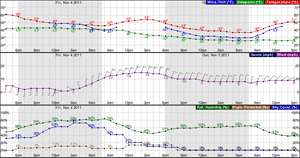 South winds around 5 mph in the evening, becoming light and variable. Partly cloudy in the evening, then becoming mostly cloudy. Lows in the upper 50s. Southwest winds around 5 mph. Partly sunny. Highs in the lower 80s. West winds around 5 mph. Mostly cloudy in the evening, then becoming partly cloudy. Lows in the upper 50s. 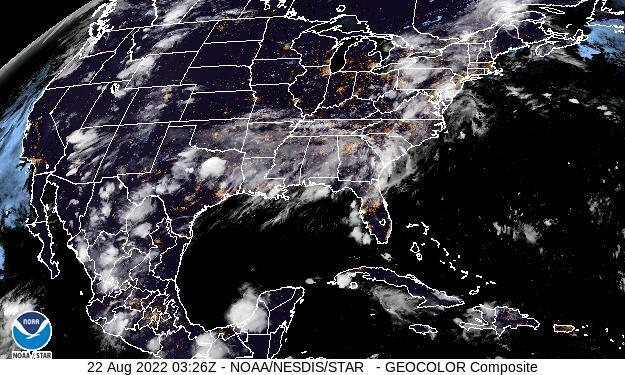 Mostly cloudy with a 50 percent chance of showers. Lows in the lower 60s. Mostly cloudy with a chance of showers. Highs in the upper 70s. Chance of rain 50 percent. Mostly cloudy with a chance of showers in the evening, then partly cloudy after midnight. Lows in the mid 50s. Chance of rain 40 percent.